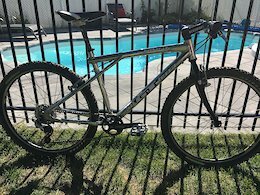 Selling my used 1994 GT Zaskar LE. 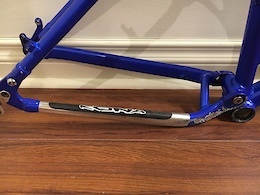 16" aluminum frame built in the United-States. Has a few scratches and small dings but overall in good condition. It has a 1x10 Shimano Deore XT drivetrain (rear derailleur, shifter and 11-36 cassette) with an Absolute Black 34t NW chainring. 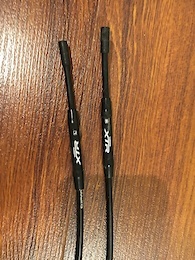 Selling because I have too many bikes and need to make some room! 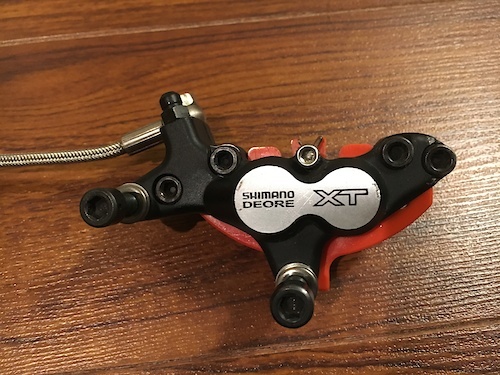 I have a used Shimano Deore XT 4 pistons front brake for sale, which includes the BL-M755 lever, BR-M755 caliper and 600mm braided stainless steel line. The brake has been sitting for a few years so will most likely need to be bled. Otherwise, the brake is in excellent condition.